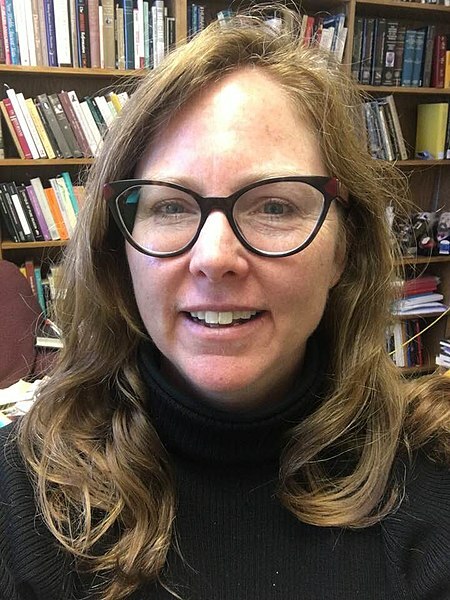 Dr. Kathleen Crowther is Associate Professor of History of Science at the University of Oklahoma. In Fall 2017, she taught with Wikipedia in her course, Women and Medicine. Here, she writes about what students enjoyed about the assignment and the importance of their work. Dr. Kathleen Crowther, Associate Professor of History of Science, University of Oklahoma. Image: File:Kathleen Maisie Crowther.jpg, by BeforeNewton, via Wikimedia Commons. I teach history of science and history of medicine classes at the University of Oklahoma. Over the past few years, I’ve gradually been incorporating Wikipedia editing projects into several of my classes. My experiences – and feedback from students – has been unequivocally positive. All students have used Wikipedia before they come to my classes, and most of them have been told they should not cite Wikipedia in formal papers. But few of them have a clear sense of the strengths and limitations of Wikipedia. Becoming Wikipedia editors themselves allows them to lift the hood and see how the engine works. Whether or not they ever edit Wikipedia again after my class, students become much more careful and critical users of Wikipedia. Wiki Education’s training modules and technical support make learning to edit Wikipedia articles relatively painless. Class discussions about how to find and evaluate sources are livelier and more productive than when they are writing more traditional research papers. I find that Wikipedia’s policy of neutrality and requirement that articles be based only on secondary sources actually sharpens their understanding of what it means to do original research and what the difference is between summarizing secondary literature and doing primary source research. This is important to me because over the course of the semester, I ask students to both improve a Wikipedia article and do a more traditional historical research paper. Most students find the prospect of writing for an audience larger than one (the professor) to be exciting. One of my favorite features of the Wiki Education dashboard is that it shows how many times articles edited by your students have been read. Now whenever I begin a Wikipedia project, I show my class the statistics for the last class. Their eyes widen when they see that over a million people have read articles created by or edited by the last group of students. I think it really hits home that what they’re doing contributes to public knowledge and understanding of history. Last semester I included a Wikipedia project in my Women and Medicine class. This course surveys the relationship between women and medicine from antiquity to the present. We examine the interrelated histories of women as medical practitioners, patients, and objects of medical knowledge. We explore the different ways women functioned as health care providers, as domestic healers, nurses, midwives, and physicians. We discuss how women experienced illness in the past and the expectations and norms that shaped their illness experiences. Finally, we look at medical knowledge about women and how ideas about gender have been constructed by the medical professions. Their final research assignment was to create or expand a Wikipedia article on a woman physician, healer, or biomedical scientist. I encouraged them to choose women who had either no existing article or a very short one. This assignment allowed me to address two related and serious problems with Wikipedia as a source of information. First, women are dramatically underrepresented among Wikipedia editors. According to the Wikipedia article about gender bias on Wikipedia, only “between 8.5–16 percent of Wikipedia editors are female.” And male editors on average make twice as many edits as female editors. There has been considerable discussion of this problem, both inside and outside Wikipedia. Wikipedia set a goal to increase the percentage of women editors to 25% by 2015, a goal that was not met. Some observers contend that Wikipedia is misogynistic and fosters a hostile environment for women; others that women are less likely to see themselves as experts, and that they are more discouraged by critical feedback than men. The issue is multifaceted, and it’s a perfect discussion topic for a class that traces historical views of women’s intellectual and physical capabilities from the ancient Greeks to the present! My class had about 60 students, over 50 of whom were women. It may be just a drop in the bucket, but I feel good about boosting the number of female Wikipedia editors by even that small number. The second problem, which is inextricably intertwined with the first, is that coverage of women – in science, medicine, art, literature, and history – is nowhere near as extensive as the coverage of men. The problem of lack of coverage is particularly acute in the case of women of color and women from the global south. This provides a perfect opportunity to talk about “content gaps” in Wikipedia, and biases in historical writing generally. And again, this dovetails neatly with a course on women’s history. My students either created or expanded close to 60 different articles on women in medicine. These ranged from the medieval to the modern period. A significant number of these women were African American (like Alice Ball, a chemist who discovered an effective treatment for leprosy) or from the global south (like Esther Chapa, a Mexican surgeon, trade unionist, and women’s rights activist; and Yvonne Sylvain, the first female doctor in Haiti). Again, these are just drops in an ocean. I can keep doing this same assignment for years without ever running out of significant women in medicine who have no articles on Wikipedia, or have articles that are just stubs. The most satisfying aspect of this assignment for me was seeing how passionate some of the students became about the women they were researching. How was it, they demanded, that these women, who had achieved so much, often against serious odds, did not already have articles on Wikipedia? It was a powerful lesson on bias in history, both on Wikipedia and in historical scholarship generally. But rather than just learning about that bias, they got to do something concrete to remedy it. For more information about teaching with Wikipedia, visit teach.wikiedu.org or reach out to contact@wikiedu.org. Header image: File:SouthOval N.jpg, by User:Nmajdan, CC BY-SA 2.5, via Wikimedia Commons. Great work, Dr. Crowther! I too have used Wikipedia editing assignments in teaching history. I started with the attitude, if you can’t beat ’em, join ’em, since I knew students would be turning to Wikipedia first, even if they didn’t cite it in their papers. Better to teach to the research environment that does exist rather than the ideal one that doesn’t. Thanks for sharing your inspiration.